Local governments are awash in ever-growing streams of administrative data. From school registrations to property tax transactions and records of every call made to 911, these data provide opportunities to build insights to meet people’s needs and prepare for the future. Making government work more effectively is a bedrock progressive value. Yet as communities take advantage of the information hidden within these streams of data, they need assistance on statistical methods and social science expertise. Two examples in Arlington show how such data insights strengthened public safety initiatives. One pinpointed where smoke alarms were most needed — thus improving the likelihood of reducing home fire deaths. The other aimed to help reduce late night alcohol-related crime in bars and restaurants in Clarendon. The projects were done in collaboration with Arlington County Police and Fire Departments. Our research group, the Social and Decision Analytics Division (SDAD)* of the University of Virginia, collaborates in such projects as we help communities use new techniques for collecting, combining and analyzing data. We are a multidisciplinary team of researchers spanning statistics, economics, sociology and data science. We combine expertise to transform data into actionable knowledge and to support evidence-based policy. A smoke alarm maintained properly can be a life-saving resource. Yet three of every five home fire deaths were in homes that lacked a functioning early detection system, according to the National Fire Protection Association. ACFD launched Operation Firesafe, an initiative that sends fire officials door-to-door offering free installations and repairs of smoke alarms. ACFD partnered with us to analyze data from early home visits and to determine where future visits should be directed to meet the greatest need. We examined information on nearly 2,000 successful visits, showing 32 percent of those homes needed a new smoke alarm. Combining this information with publicly available housing data (value, age and location), our team developed a model to predict which homes were most likely to lack a functioning smoke alarm. With predictions covering nearly 50,000 Arlington residences, fire officials can make targeted choices about where to canvass for smoke alarms. Initial estimates showed that older homes in the county’s southwestern section were far less likely to contain a working fire-detection system. Arlington features appealing restaurants and nightlife destinations. Clarendon alone has more than 20 restaurants with ABC licenses and each year, approximately 580,000 patrons visit Clarendon between 9 p.m. and 3 a.m. Visits are especially high at times such as St. Patrick’s Day and July 4, when alcohol consumption is quite high. This area has become a difficult issue for police to manage due to alcohol-related crimes such as public intoxication, DUI, disorderly conduct and sexual assault. ACPD launched the Arlington Restaurant Initiative (ARI) which focuses on employee policies and effective practices for restaurants and nightlife to reduce the risk of alcohol-related disorder. By providing training and standards, the restaurant staff can intervene early before issues become problematic. The staff are given training to detect fake identifications, understand criminal/civil liability, public safety expectations and “Bar Bystander” sexual assault intervention training. The ACPD Nightlife detail officers (those working Friday-Saturday late nights) use more personal, proactive interactions to nip potential alcohol-related crimes in the bud; for instance, spotting someone who is having trouble walking and sending them home in a cab right then. After two years, more interactions and fewer crimes were occurring in Clarendon, yet were the extra resources (such as the late-night overtime pay for police) justified? To probe the social and economic costs, we needed to scrutinize the data more strategically. Master Police Officer Dimitrios Mastoras partnered with us to evaluate effectiveness of ARI. First, we used the data on interactions that the officers collected during ARI weekend activities in combination with the crime data to show a decrease in arrests over two years of the program. Our next step is to estimate the reduction in crime solely due to ARI and to calculate cost savings. We keep looking for more ways that strategic data analysis can help local government be even more effective. What issues keep Arlington County leaders up at night? Data science based on good statistical and social science research methods can help solve some of these questions — and help governments do an even better job of serving their citizens. 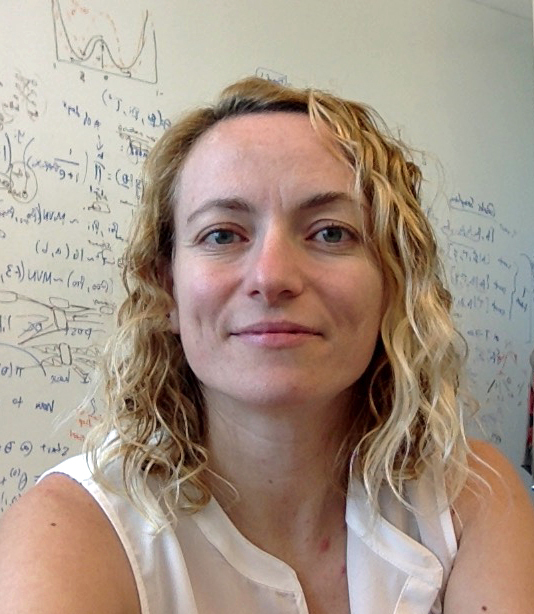 Gizem Korkmaz is an Associate Professor at the Social and Decision Analytics Division (SDAD), in the Biocomplexity Institute & Initiative at the University of Virginia. The hallmark of her research is to blend her knowledge in traditional economics with big and messy data using tools from social network analysis and machine learning. She works with traditional as well as novel data sources such as social media, 911 calls and crime incidents to ask how we can make data useful for people and communities. * Our research group was part of Virginia Tech until October 2018, when it moved to UVA with offices in Rosslyn.